Dover & Kerrits special giveaway contest! Comment on our Kerrits Contest Facebook Post and tell us what your favorite Kerrit product is and why you love it so much! 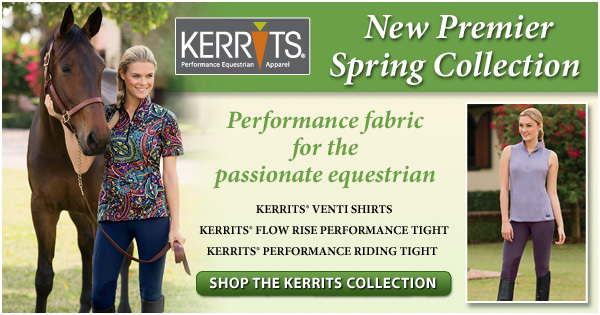 One lucky winner will be selected by our Judges to win a Kerrits outfit from the new collection! See the whole Kerrits collection here! Like & Share if you ♥ Kerrits! The winner will be chosen by our judges on 5/7/13. Contest ends on 5/6/13 at 11:59PM EST. No purchase necessary. Winner must reside in the continental United States and be 13 years or older. Judge’s decision is final. Facebook is in no way connected with this contest. Libertyville Camp Fair & Fashion Show! Looking for a Summer Riding Camp? Visit our Libertyville store this weekend and learn about local Summer Camps. Meet Summer Camp Trainers on Saturday May 4, 11am-4pm. Summer Fashion Show at our Libertyville Store! Bring your friends and catch the latest styles of the season from the leading brands – Ariat, Tailored Sportsman, Tredstep and more Refreshments. Click here for store directions and more information! Alpharetta Tent Sale – Save The Date! Dover & Joules special giveaway! Dover & Joules special giveaway! We are celebrating the new Joules Spring Collection by giving one lucky person the chance to WIN an item of their choice from the new Joules collection! 1) Write a comment below on why you love Joules so much! 2) Be sure to fill in your name & email address so we can contact you if you win! Visit our Joules collection here! The winner will be chosen by our judges on 4/25/13. Contest ends on 4/24/13 at 11:59PM EST. No purchase necessary. Winner must reside in the continental United States and be 13 years or older. Judge’s decision is final. Facebook is in no way connected with this contest. Do you know what goes on inside your helmet? How the technology has been developed using the latest computer modeling? Why choosing the right helmet is so important? Or how your helmet can help you win? Attend this free evening of education to find out. Click here for directions & store information! LAST CHANCE: Your $200 Gift is Waiting For You! LAST CHANCE! Save over $200 on the EASY-CHANGE™ Fit Solution when you purchase a new Bates or Wintec Saddle! A $200 value FREE – purchase your NEW Bates or Wintec Saddle featuring the EASY-CHANGE™ Fit Solution and receive a FREE EASY-CHANGE™ Promo Gullet Pack and FREE EASY-CHANGE™ Riser Pack. Free packs added automatically at checkout! Camp Fair at Wellesley – Save the Date! April 26, 4:00PM – 7:00PM at our Wellesley, MA location. Click here for directions. Join us for a fun evening and learn about local summer riding camps! Free Admission – Bring the Kids! $5.00 Dover Saddlery Gift Certificate for each camper! 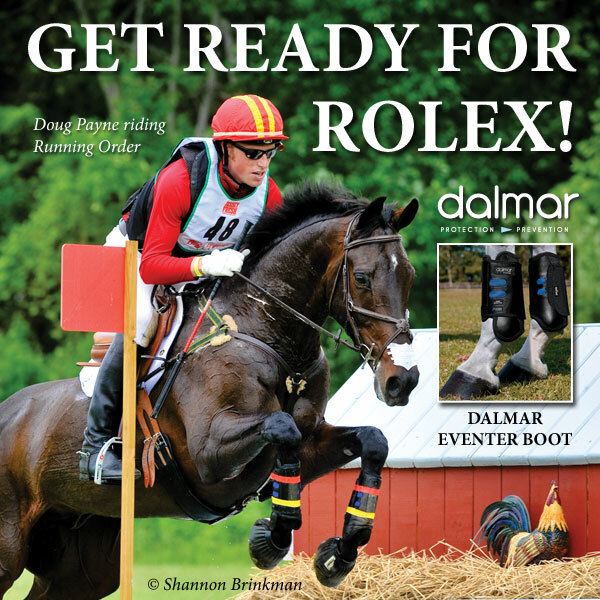 New Show Coat Styles at Dover Saddlery! Show coats, show coats and more show coats! Just in time for spring, Dover Saddlery is now offering our largest selection of show coats yet! We have expanded our selection of show jackets and dressage coats from all the leading brands in the world, including Animo, Alessandro Albanese, Cavallo®, FITS®, GPA®, Grand Prix®, Horseware®, Pikeur®, RJ Classics and more. The latest show coats are created in athletically-inspired fabrics with properties developed to keep the rider cool, comfortable and able to move freely. New coats range in styles to flatter every figure and to satisfy the tastes of every competitor from the most fashion-forward to the most traditional, for the hunter, jumper, dressage and eventing arenas. 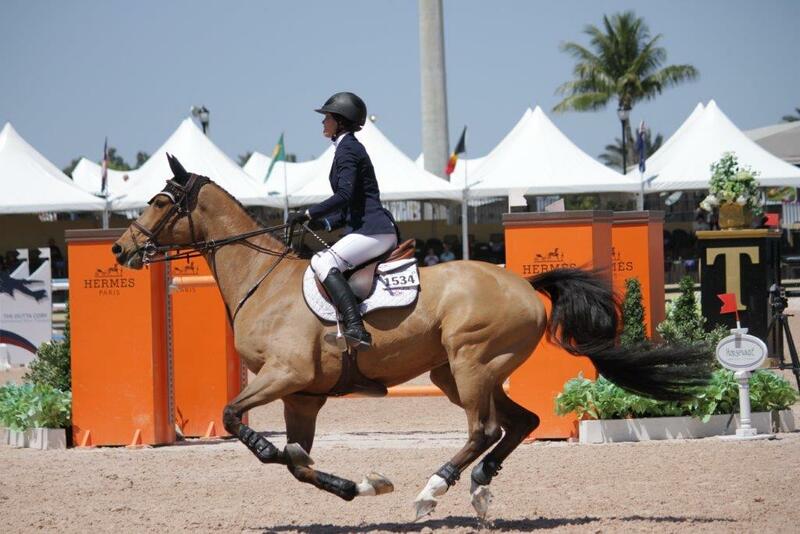 As busy athletes, riders will appreciate the use of technical fabrics in most of the new show coat styles. These fabrics are incredibly lightweight, stretchable, breathable, moisture-wicking, machine washable and easy-care. The Animo Leon Competition Coat, for example, is incredibly lightweight and offers unprecedented stretch that allows the rider complete freedom of movement. 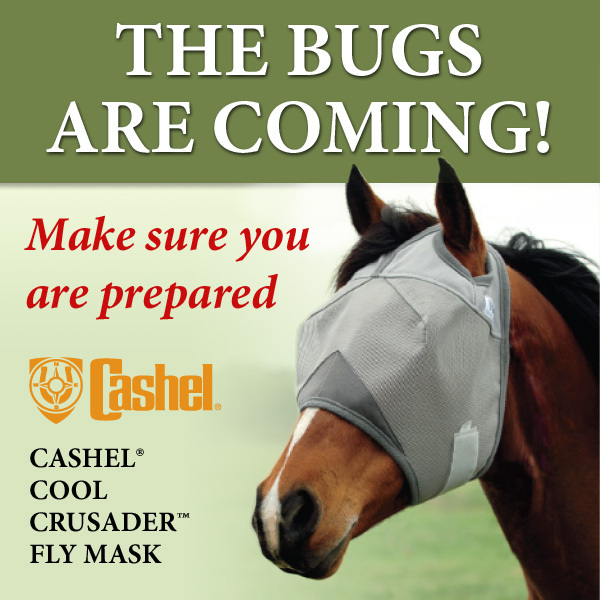 Where is the most creative place you have found your horse’s fly mask? Click here to see the full Cashel Collection! Contest ends 4/17/2013 at 11:59PM EST. Judges will choose the three winners on 4/18/13. Only 1 entry per person. No purchase necessary. Winner must reside in the continental United States and be 13 years or older. Judge’s decision is final. Facebook is in no way connected with this contest.